Navdanya was founded 30 years ago by environmentalist Dr. Vandana Shiva to defend the seed and food sovereignty of small farmers. It promotes a new agricultural and economic paradigm: a culture of food for health, where ecological responsibility and economic justice take precedence over today’s profit driven extractive food systems. The promotion of agroecology for economic security and the mitigation of climate change, together with seed and food sovereignty, are central to Navdanya’s vision of an Earth Democracy. 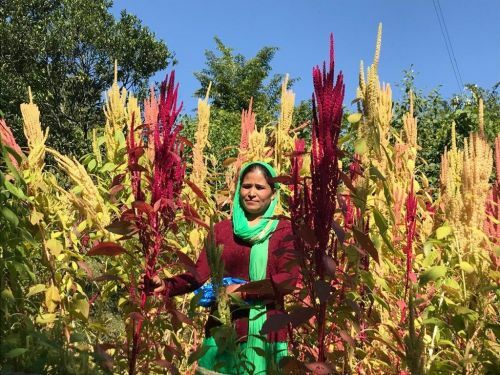 Up to now, Navdanya has helped set up 137 community seed banks in 22 states of India and Bhutan, trained over 1 million farmers in seed conservation, food sovereignty and sustainable agriculture, and helped set up the largest fair trade organic network in the country. Navdanya is born of a vision that all beings have intrinsic value and an inherent right to live, grow and evolve to their full potential through their self organisation. Navdanya thus views the conservation of biodiversity and protection of all life forms as a fundamental human duty, and our universal responsibility.